Qualify to refinance even if you’ve been denied in the past. The U.S. government’s Home Affordable Refinance Program (HARP) is a great option for homeowners who have little or no equity, or owe more than their home is worth. HARP’s easy qualification requirements and streamlined refinance process have made it possible for nearly 3.5 million Americans to take advantage of today’s low rates since the program began in 2009. Closing costs are often lower than you’d expect, and you may not even need an appraisal. To see if you qualify, just answer a few questions online or call a Licensed Loan Advisor at (888) 353-1558. HARP could help you save big on your monthly payments and meet your financial objectives. Unsure if you’re eligible for HARP? You could find out your eligibility in minutes. 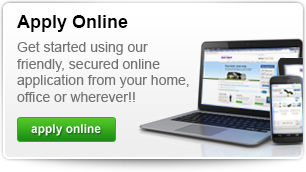 Just answer a few questions online or call a Licensed Loan Advisor at (888) 353-1558. Can I still qualify if I’ve had a late payment? Yes. You can still qualify for HARP even if you’ve had a late payment. 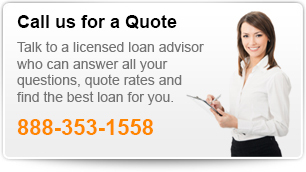 Call (888) 353-1558 to talk to a Licensed Loan Advisor, or answer a few quick questions to find out if you qualify. What’s the minimum credit score for refinancing with HARP? Homeowners with credit scores as low as 580 can refinance with HARP. Is HARP the only way to refinance my mortgage? HARP is just one of several options available to homeowners who want to refinance. It’s unique in that it’s the only refinance program that allows borrowers who have little to no equity in their homes to benefit from low interest rates. Can I refinance my condo or investment property with HARP? Do I need an appraisal to refinance with HARP? In many cases, you won’t need to get an appraisal, but the only way to know for sure is to talk with a Licensed Loan Advisor. 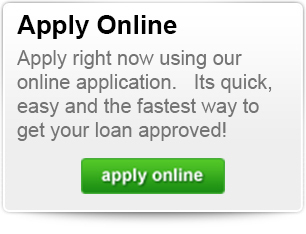 Call (888) 353-1558 t0 to get in touch with a Loan Advisor now. How can I start refinancing with HARP? The first step is to learn if your mortgage is owned or guaranteed by Freddie Mac or Fannie Mae. Tell us a little bit about you and your home, and we’ll look up your loan to see if you’re eligible. You can also call us at (800) 251-9080 to see what your options are. My current servicer or mortgage lender can’t help me. Does this mean I don’t qualify for HARP? Not at all! Your current servicer might have HARP requirements that prevent them from helping you. One of our Licensed Loan Advisors can tell you if you’re eligible to refinance through HARP with Shoreline Mortgage, or you can see if you’re eligible here. If I refinance with HARP, and I have little or no equity, will I have to pay private mortgage insurance (PMI)? If you’re not paying PMI today, you likely not have to pay it when you refinance with HARP. The only way to know for sure whether you’ll be required to pay PMI is by calling (888) 353-1558 to talk with one of our Licensed Loan Advisors. If I’m current on my mortgage payments, can I refinance with HARP? Yes! HARP was designed to help responsible homeowners who are current on their mortgages but have been unable to take advantage of lower interest rates because their homes have decreased in value. 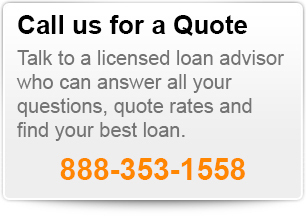 Why talk to one of our Licensed Loan Advisors?? 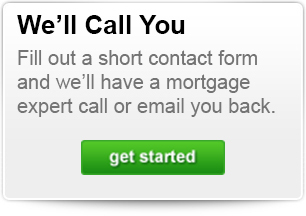 Talking to a Licensed Loan Advisor is an important step to getting the right mortgage loan. Everybody has different loan needs and a mortgage banker knows which questions to ask in order to best match you with the right loan and monthly payment. Since we have a strict No Steering policy, you can be assured that the loan option suggested to you will fit your needs. Your loan advisor will also explain all the steps–from getting started, to locking in your low rate, to closing your loan fast, in little as 30 days or less!!. Because we are a direct lender, if you have any questions during the loan process, you will have one direct number enabling you to get quick answers straight from the source. 5 stars , great very smooth process. Michael is the best, hands down! Michael went above and beyond to communicate and help us through this process. Everything Michael told us was accurate and there were no surprises. I will never use anyone else when financing another property in the future! Thank you Mike! I have used Shoreline Mortgage 4 times over the past 20 years. I would highly recommend to anyone. Communication is over the top!! Night or day, email, phone, text, extremely quick to respond. extremely patient, kind and available to help any time. We were looking at so many options for our Refi – 15 Year vs. 30 Year, combining two mortgages into one. We tried working with our bank, but became very frustrated at the inflexibility. We decide to talk to Michael because he had helped us so much with our first mortgage almost 10 years ago. Michael gave us the pros and cons of every option we discussed, and was always open to running multiple scenarios for us. When we finally chose the right financing plan for our needs, Michael guided us through every step of the way. Working with Michael was the best decision we made. He was helpful and informative through the entire process. There were nights that he was up sending me emails about how to quickly repair my credit score, while most people would be sleeping. His dedication to customer service and finding the best mortgage to fit his clients needs is exactly why we will be calling Michael the next time we are purchasing a house. I have dealt with Michael Minkoff in the past. And I found him to be every professional, honest and very forthcoming. This is my third opportunity to have dealt with him on the purchase of Homes and condominiums. And Michael has never disappointed me in any way, during the procedures and purchases of any properties. Over the years I have thought of Michael as more of a friend than a business acquaintance. Michael performs his task over and above its competitors with ease. You guys have a real gem on your hands... Michael Minkoff THE BEST definitely 5 stars. It was our first time to buy a house. I have zero experiment, Michael Minkoff did all paperwork for us. It was a painless experience, we are so luck to meet you, Michael! Thank you! I have used Mike at Shoreline many times. I keep going back because there is noone better to work with. I have used others but they simply cannot touch the personalized and professional service that Mike and Shoreline provide. I am a client for life. Mike Minkoff did an outstanding job with my two refinances at the same time! I asked many questions and came up with multiple scenarios and Mike was more than happy to answer everything. He went above and beyond and he knows his stuff. I would suggest using him again without hesitation. I am more than satisfied with services of Shoreline Mortgage . I worked through this process with Michael Minkoff. Since the first day until the closing date he was very profesional , very dedicated to his work , very knowledgeable mortgage person , always available with all questions, always available with the best answers. He made the process very smooth. His words always were... no worry , we will make it happens . We did .!!!. I will use Michael and this company for my future purchases or refinance and will definitely recommend his services to family and friends . I can't thank him enough. Thank you Michael for everything. You made it posible . Thank you! I have used Michael for a mortgage and refinance on two properties. He is very knowledgeable and quick with responses. Both went perfectly and his numbers were spot on. I even referred him to family and friends, all of whom had a great experience. I plan to use Shoreline Mortgage for future investments. The service and personal attention we received from Michael Minkoff was exceptional and beyond what we were expecting! His knowledge of the local and national market and his commitment in finding us the best rate helped us in our search for our dream home. As first time home buyers everything was new to us and the most important thing we wanted was someone we could trust to give us the best advice. After patiently going through every figure and explaining what each payment was for, Michael made sure we were comfortable and sure of our decisions. He was there for us every step of the way. I'm glad we chose his services and would recommend him to anyone buying a home. Michael Minkoff was great. He worked through all the different ways we could structure our loan and helped us find the one that was absolutely best for our situation. I really appreciated how quick he was to respond to us throughout the process and yet I never felt rushed, as he made sure we understood everything happening throughout the process. I have been and will continue to recommended him to others I know looking for a mortgage. This was my second refinance with Michael Minkoff and Shoreline and I would not deal with anyone else. He offers great guidance and patience through the refinance process. He gets the job done quickly and will smooth any wrinkles in the process. He is always available to answer any questions or concerns before, during and after the refinance. His professionalism is unparalleled! I highly recommend his services. Exceptional experience. I never even had to go to an office or meet Michael in person. E signature and good to go. In 3 hours my refinance was secure. I have worked with Michael twice and he is a true professional. He takes the time to ensure that his clients understand the entire process of closing on a mortgage and is always willing to explain things until the client is comfortable. Patient, kind and understanding - Michael is exactly the type of person you want working on your behalf. I would never work with anyone else! This is the second house we've bough with Michael's help and he made it a painless process yet again. He is always on top of all of the paperwork needed to buy a house, it made it so easy on us. He is professional and such a pleasure to work with. Our good friend recommended Michael and he helped us to secure a mortgage on our second house in Miramar, FL. We closed our house right on time without any delays. Michael took care of every single detail in the loan approval process and explained very clearly about the different options that was available to us. He guided us in such a professional manner that we didn’t have to worry about anything. He was very prompt and kept us updated throughout the process which went very smoothly. It was a pleasure to work with him and will highly recommend him to our friends too. Thank you Michael! 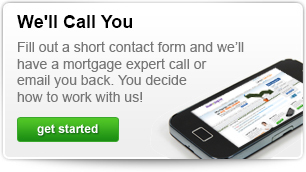 By far the most convenient, transparent and responsive mortgage broker I have worked with. I've dont multiple loans with Michael and each time he has exceeded expectations. Michael is the only Mortgage Broker you should work with! Our friends recommended Michael Minkoff to help us secure a mortgage. It's our first house so we never had any experience with the loan process. From the very first phone call I knew we were in the best hands possible!! Michael took the time and explained very clearly about the different options. He took care of every single detail and went above and beyond to bring us to closing in less than one month. During the loan process, he guided us in a very professional manner and kept us updated on the progress. The whole process was very quick and smooth and we felt very comfortable throughout it. It was a true pleasure to work with Michael!! I'm sure we will work with him again in the future and will highly recommend him for others. Thank you Michael, you are the best! !